Your Yahoo address book or contact list is used to store the details (e.g. email address) of people that you regularly send email to. Manually adding a new contacts. 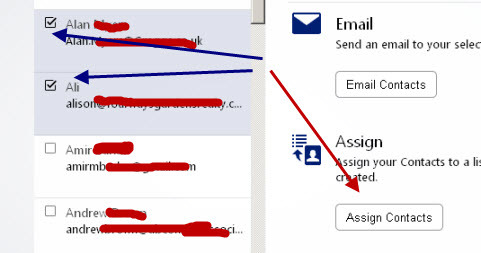 Automatically adding contacts when sending messages to new email addresses. How to create contact lists for sending to multiple contacts. 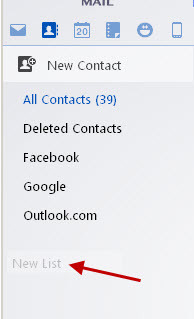 To manage your contacts click on the new contacts icon which you will find on the top left. Now edit the contact details. You should find the contact listed in the contacts list. When you are reading a message from someone you can click the sender name, and a dialogue box will open allowing you to add the sender to your contacts. 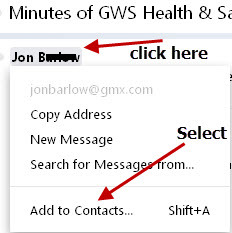 If you click add to contacts then you can edit the contact details before saving the new contact. When you send a message to someone new they will automatically appear in your contacts. However you may want to manually edit the entry as the recipient name is set to the email address. You can import directly from Facebook, Gmail and outlook.com. For other providers you will need to export the contacts to a .csv file and then import them using the import wizard. See Importing Yahoo Contacts for the details. You can add telephone numbers, birthdays, web site addresses and more details but the minimum you need is the first name and email address. click the bin (delete) icon. However you should note that the contact doesn’t get completely deleted. If you click on the deleted contacts link directly under the ALL contacts link you will see all of the contacts that are waiting to be permanently deleted. If you click the check box you will get more more options in the menu. You will have the option of restoring the contact or permanently deleting it. 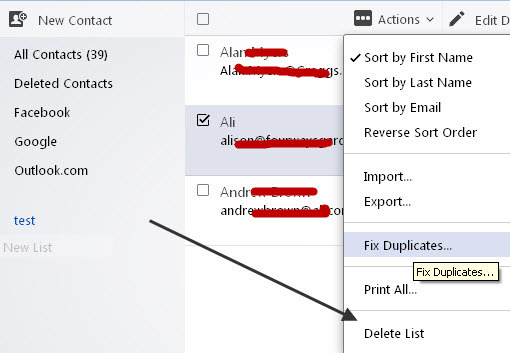 Click delete permanently and then confirm to delete it, or restore to add it back to your contacts list. 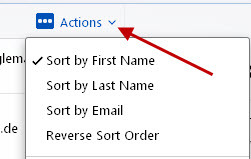 Note: You cannot add a new contact with the same email address if one already exists in the deleted contacts folder. If you have lots of contacts you can use the search contacts feature to find the one you want. A contact lists or distribution list as they are called in some email systems allow you to easily send email to a group of people. Click new list and edit the text with the name of your new list. 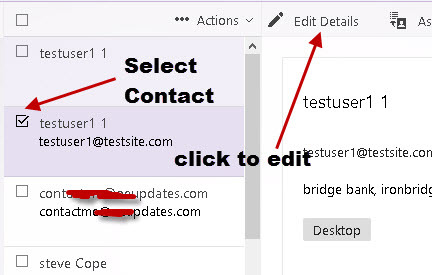 When created you can assign contacts to the list by clicking the check boxes next to the contacts, and then click assign to add them to the list. Here is a good video from Yahoo which shows you how to create the contact list and send email to it. 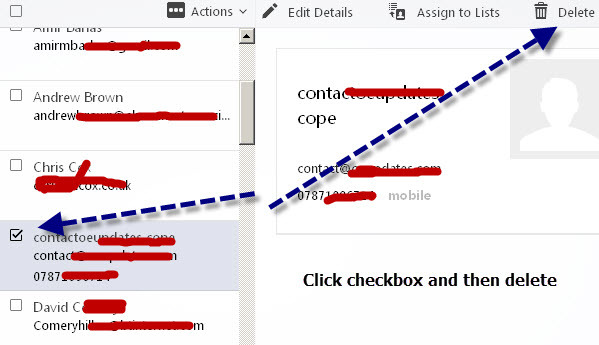 Important – You should note the Bcc line is used to keep the list confidential. This is typically what you use when sending a newsletter. Also sending on the Bcc line means that if the recipient does a reply to all then he doesn’t reply to the entire list. To remove one or more contacts from a list. Select a Contact List. The Contacts within are displayed. Select the check box next to a contact. Click Remove from list in the confirmation prompt. You can delete a contact list. Click Delete in the confirmation prompt. Some email systems add each contact to a contact list called all contacts or Everyone. 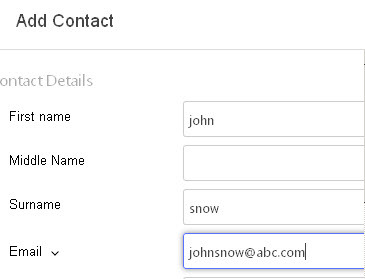 There is no default ALL contacts Lists in Yahoo Mail you will need to create your own. 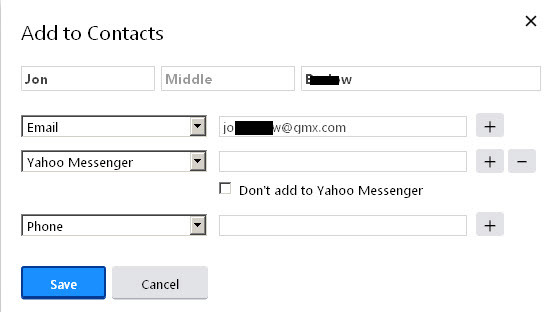 Yahoo imposes a limit on the maximum numbers of recipients that you can send an email to. However they don’t disclose the size limit due to their anti spam policy. Contact Lists aren’t exported with the contacts, as far as I can see, but some formats will show list membership so you can work back from there. Q- Where is the Yahoo Contact List Stored? A- It is stored on the Yahoo Email Server. Q- How do I get my Yahoo Contacts into Windows Live Mail, Outlook etc.